What Does The Best Bond Cleaning In Kangaroo Point Cover? Finding and selecting reliable house cleaning in Kangaroo Point is not easy. The most common questions we get asked by people like yourself have been collated below to assist you in making a smart decision. 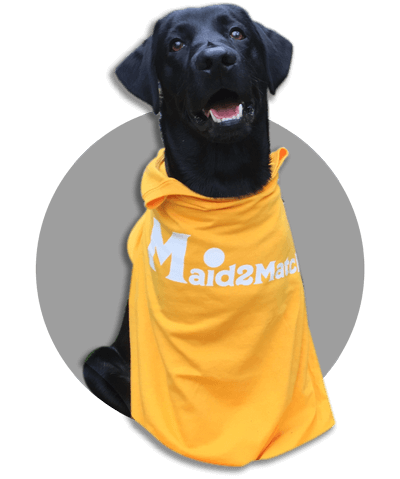 WHY ARE MAID2MATCH KANGAROO POINT’S BEST AT VACATE CLEANING? The truth is great bond cleaners possess a different skill set than regular house cleaners and therefore requires specific experience, dedication, and a first-class cleaning checklist. At Maid2Match, we personally vet all our cleaners, after having them complete a three-part application form. We provide extensive support and have crafted the most effective bond cleaning checklist you’ll find. Look no further than our experienced and insured experts for your Brisbane bond cleaning service. Located in the immediate vicinity of Brisbane CBD, the suburb of Kangaroo Point is right over Brisbane River. Its most important landmarks are Story Bridge and Kangaroo Point Cliffs. Situated on a peninsula surrounded by the Brisbane River, that’s made from hard rhyolite rock, Story Bridge is what connects Kangaroo Point both to Brisbane CBD and the neighboring suburb of Fortitude Valley. With Woolloongabba suburb in its southern edge, the imposing six-lane Main Street connects Kangaroo Point to it. The streetscape of this suburb is fairly varied. You’ll see mostly high-rise apartments towards the north side, near the edge of the peninsula. The southern part of the suburb is filled with medium density apartments, together with traditional Queenslander homes. There are plenty of attractions in the area, considering that Kangaroo Points is a famous recreation spot. The Kangaroo Point Cliffs have a magnificent look-out, and there are plenty of hiking and rock climbing opportunities here, but you can also go for a quiet picnic. If you want outdoor adventures, Ellis Street is one of the most abrupt hills in the Brisbane area. You can also visit one of the very rare Mormon temples here, as well as the two centuries-old St. Mary’s Anglican Church.